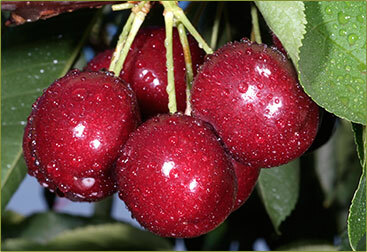 Sweet and crisp, our cherries are picked at peak perfection and hydro-cooled immediately to retain freshness. They are consistently praised as the best-tasting cherries on the market — a perfect summer treat! Fed-ex Standard Overnight Shipping is Included! We only ship fresh cherries standard overnight to guarantee you receive the highest quality, best tasting cherries available. There is an additional shipping charge for shipments to Alaska & Hawaii (please email info@hrcherrycompany.com for questions). Unfortunately, we cannot ship direct to California with our internet orders. Also, we cannot ship to post office box addresses. Spreads & Jams will be mailed separately from fresh cherries. We ship through USPS (United States Postal Service). Shipments will arrive between five to seven business days after order has been sent.